The girls’ fencing team has performed strongly throughout the entire season. 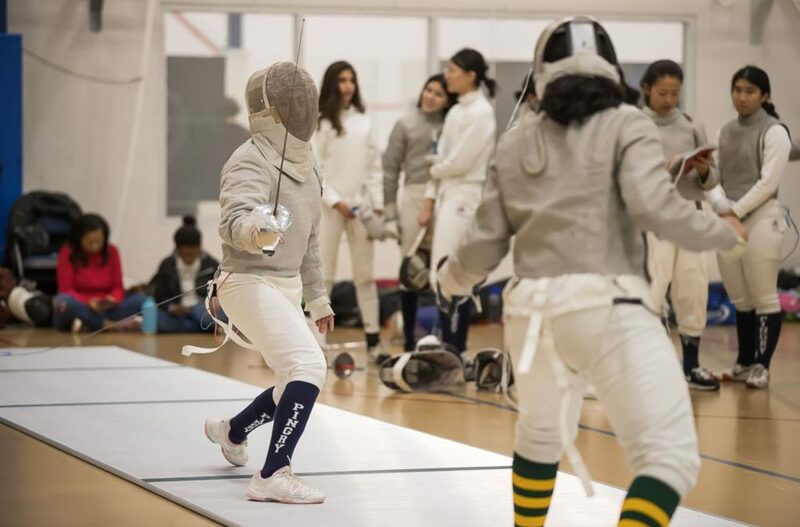 At the beginning of the season, they fenced in the Somerset County tournament; Captain Georgia Liu (VI) placed third and Alison Lee (V) placed second in their individual competitions. Throughout the season, the team has improved with intense practice and private lessons. “I think that this season the team is very close, which is super nice. Even though the majority of the team is underclassmen, they do their best every practice/meet,” Liu says. One proud moment for the team was when they beat Watchung Hills 14-13. The team also finished well at Districts, securing second as a team and qualifying for Sweet Sixteens. Though the Pingry team was seeded 10th, they fought 7th seed Bernards and lost with a close score of 12-15. In addition, the épee squad placed first and the foil squad placed second. Both squads will fence in State Squads. Four people qualified for district individuals, including Josie Alston (IV) and Ameera Ebrahim (IV). Two fencers, Jessica Lin (IV) and Alison Lee (V), also performed well enough to compete in state individuals. The boys’ ice hockey team entered this season hungry for victory. After losing to Ridge in last year’s Skyland Conference Tournament finals, the team vowed to return this year and win. With that goal in mind, they had an extremely strong showing throughout the season, with an impressive winning record. 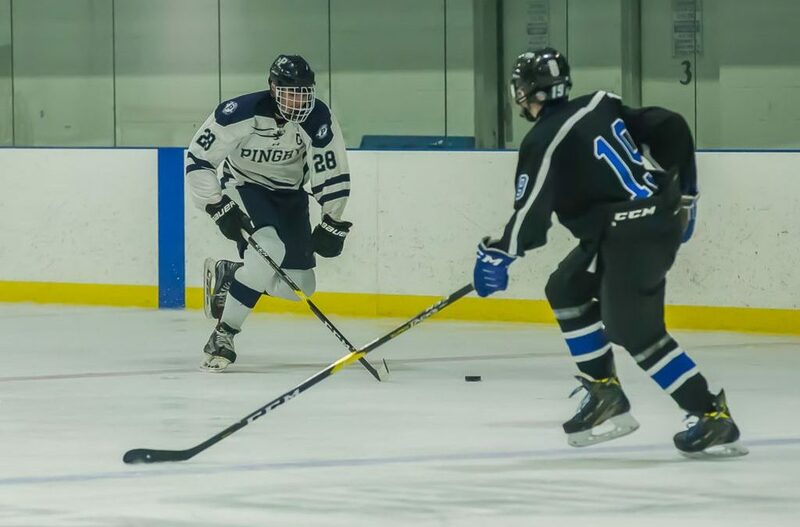 Under the leadership of captain Matthew Keller (VI) and assistant captains Daniel Schnack (VI) and Michael Vessa (VI), the team is poised for success in the Conference and State Tournaments. 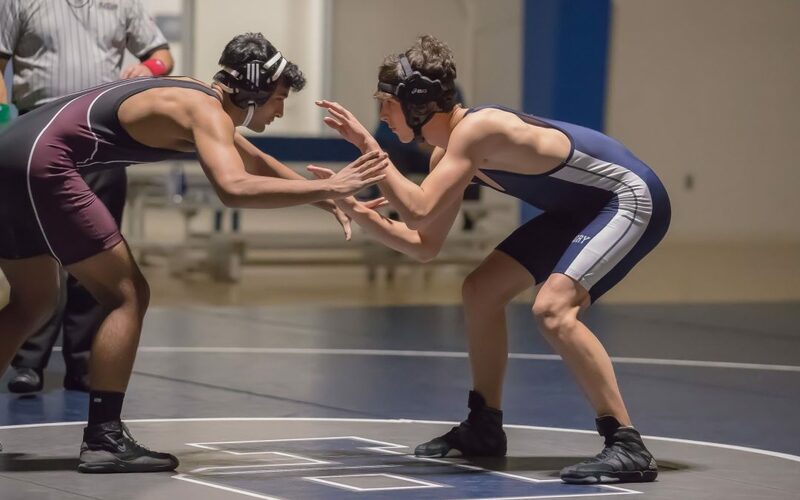 As the Pingry wrestling season approaches its end, the team prepares for some upcoming tournament play. Last year, Brandon Spellman (VI) was the only wrestler to make the State Tournament, and Coach George Sullivan says that he wishes “to expand on that this year.” Spellman has put together a fantastic final season, attaining a 27-4 record. In addition, he was the champion of the Pandy Leh tournament, the Hunterdon Central Invitational, and County Championships. He was even named the Outstanding Wrestler of the County Championships. Zach Dobson (VI) was also a champion of the Pandy Leh tournament for his weight class and finished second at the Hunterdon Invitational and county championships. He finished the season with a 27-2 record. It took some time for the girls’ basketball team to find its momentum this season, but the girls became much more comfortable on the court by January. 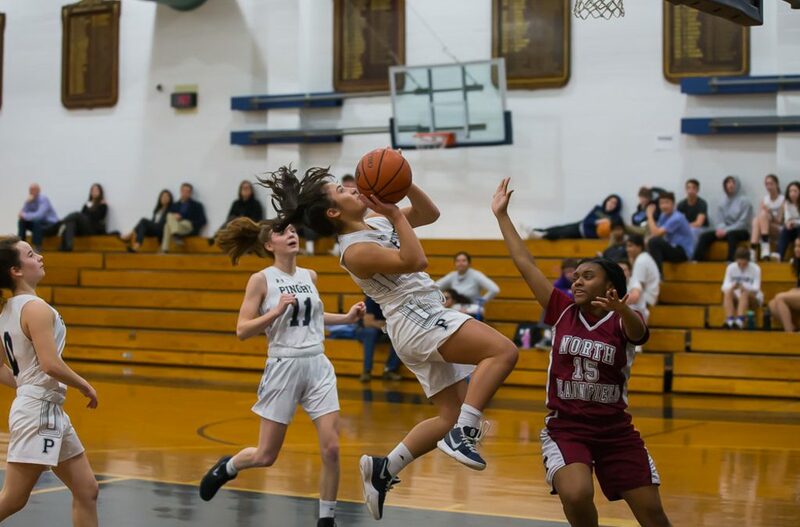 Starting guard Olivia Volpe (IV) explained that the team’s goal midway through the season was “to beat teams we lost to the first time we played them”; such teams included Bernards, Delaware Valley, and Voorhees, all of which Big Blue later beat. The second time Pingry played these teams, they beat Bernards by three points, Delaware Valley by one point, and Voorhees by one point. Evidently, the key difference between the first and second half of the season was Pingry’s ability to successfully finish tight games. The girls’ winter track team is off to a fantastic start to their season. Led by captains Cathleen Parker (VI) and Ally Lima (VI), the team has been working hard both in the weight room and on the track to prepare for their meets. Despite losing some seniors to graduation, the addition of newcomers has created great depth to a strong veteran squad. 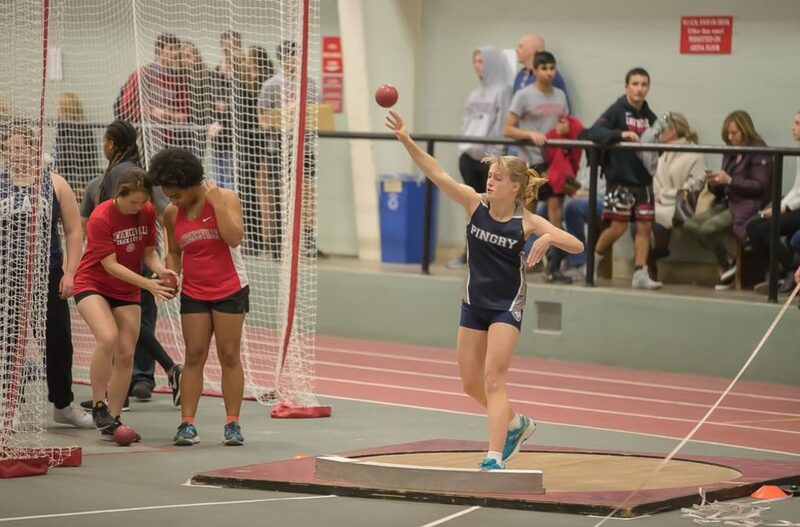 Parker notes that “we have a much more diverse team this year, including a number of pole vaulters and throwers which is something we’ve never had in the past.” Key contributors include: Nikki Vanasse (V), who has set and broke her own records in the 1600m and won the 3200m at Groups; Ryan Davi (IV), who has come back from injury to lead the team in the 400m; Caroline Dannenbaum (V), who is the second-best in the pole vault in New Jersey and a consistent scorer; and Lauren Taylor (V), who has placed at multiple championship meets and set new school records in the 200m. 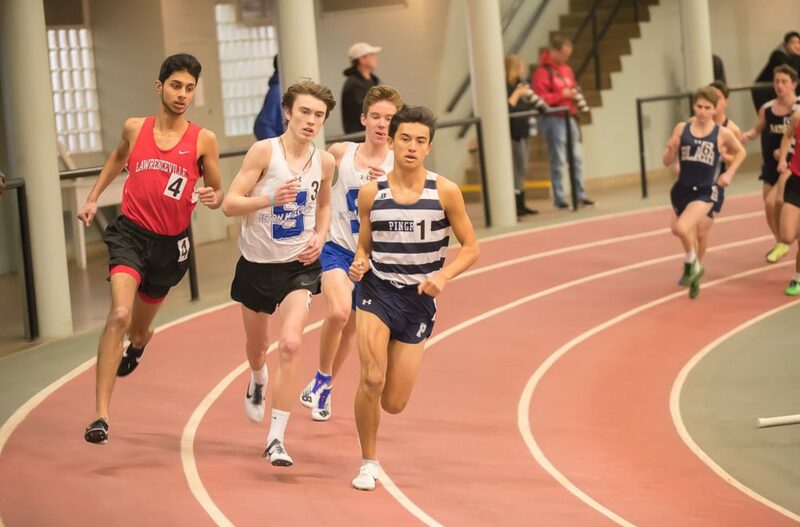 Going forward, Vanasse, Dannenbaum, and the 4×4 team of Davi, Kierstyn Brown (V), Parker, and Dylan Anidjar (V) will be competing at the Meet of Champions. In addition, the 4×8 team and the pole vaulters will be competing at Easterns. Their goal is to continue their success on the track and qualify for the New Balance Nationals in March. The boys’ winter track team has had a great season so far. This year, the team is led by Captains Nick Robinson (VI) and Joe Shilts (VI). Though the team lost several key players to graduation last year, that did not stop the team’s success on the track. When asked about the season so far, Robinson said that, “Considering how few members we had this year, I’m really proud of what we were able to accomplish.” During practice, the team pushed through some hard running workouts, and they lifted in the BAC to build up their strength. Over the course of the season, “everyone managed to improve and ran some great times,” Robinson noted. The biggest contributors and scorers this year included Henry Wood (IV), who runs the 4x400m, 800m, and 1600m; and Joe Shilts, who does the 55m hurdles, 55m, and 200m. For next year, the team hopes to have more new members to increase their depth and continue their success. 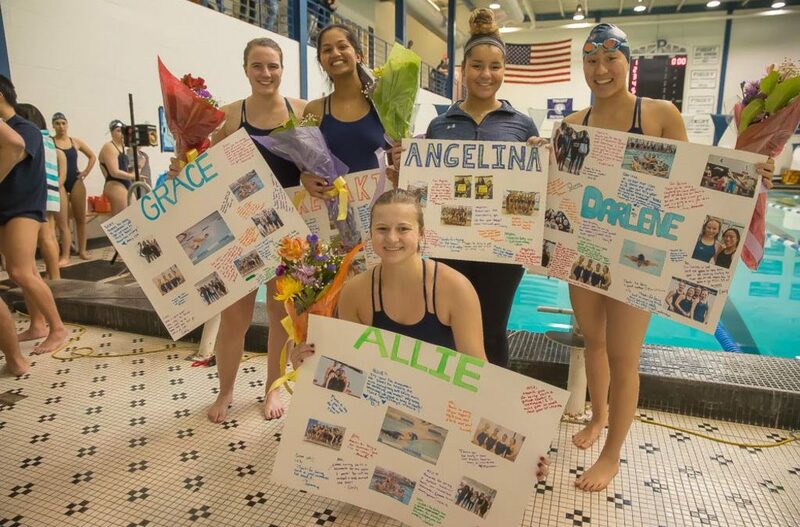 The girls’ swim team is finishing up the season with a strong winning record. The team came in first place at the Prep A Championships and second in the combined Somerset County/Skyland Conference meet. The team will compete against Immaculate Heart in the state finals on Sunday, February 23. 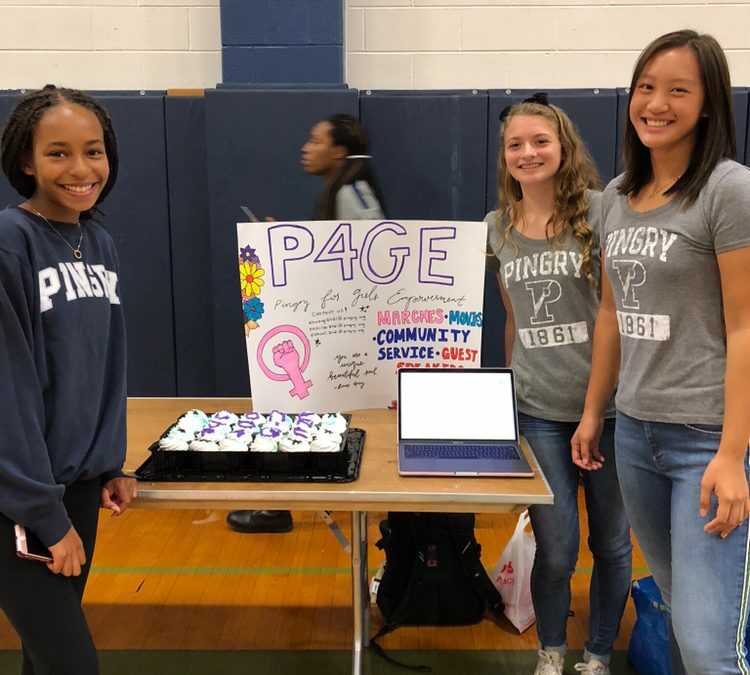 Pingry for Girls Empowerment (P4GE) is a new club in Pingry this year, looking “to raise awareness on contemporary issues affecting women and girls both nationwide and around the world,” according to club co-leader Eva Schiller (IV). The other co-leaders, Emma Huang (IV) and Sydney Stovall (IV), join Schiller to broaden the scope of girls’ empowerment both within and outside the Pingry community. 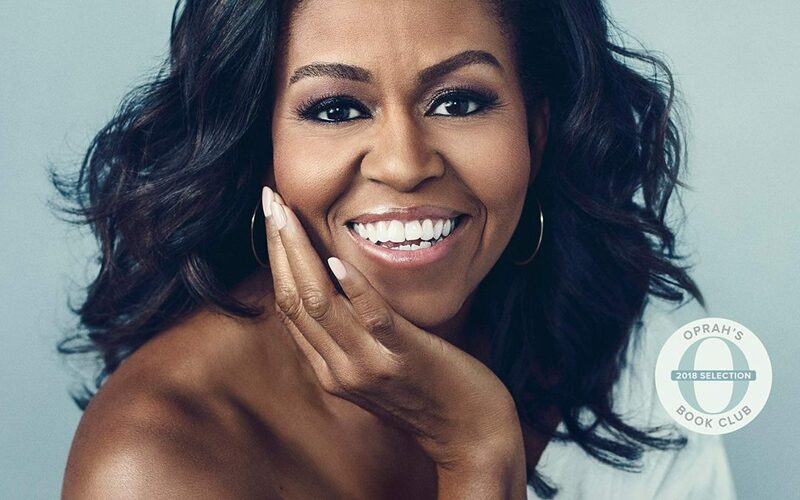 The club consists of a group of students interested in learning more about the fight for women’s rights and taking a more active role in advocating for women’s rights in today’s society. Although it was only established this year, P4GE has already gathered a diverse group of students who are eager to participate in the rich opportunities the club has to offer. One of the main priorities P4GE leaders had when creating this club was differentiating it from Girls’ Affinity group, a group with similar interests. “The Girls’ Affinity group is definitely an extremely important asset to the school, so we wanted to make sure [our missions] weren’t clashing,” Stovall explains. “An Affinity Group is designed to bring people together that share the same identity to discuss topics that relate their shared identity. P4GE strives to be open to all genders because we believe women’s equality should not solely be an issue to women.” P4GE hopes to attract any student who shares the same goals as the club by hosting fun activities at each meeting. These activities include “female guest speakers from varying backgrounds to talk about female empowerment on a small panel,” according to Stovall, as well as “[taking] action by writing letters to government representatives” according to Schiller. With these plans in mind, the leaders hope to spark an interest for others to take initiative as well. On February 21, 22, and 23, Pingry’s Drama and Music Department performed this year’s winter musical Rent, a Pulitzer-Prize and Tony Award-winning production by Jonathan Larson. Influenced by Giacomo Puccini’s opera La bohème, Rent follows a group of impoverished young artists suffering from HIV/AIDS struggling to establish themselves in New York City’s Lower East Side. 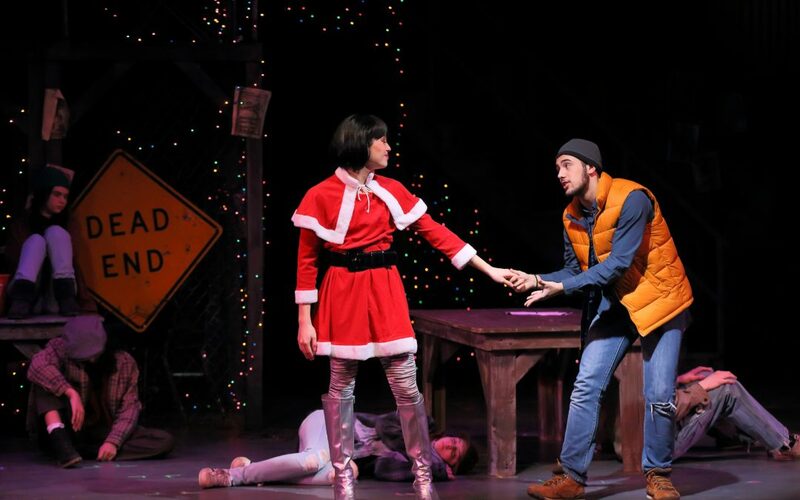 The musical focuses on two roommates on Christmas Eve: Mark (Nick Grimaldi ‘19), a struggling filmmaker and Roger (Ian Dugan ‘19), a previously successful but now troubled rock musician. One of their friends, Tom Collins (Lucas Vazquez ‘19), plans to meet the two at their apartment, but is attacked and beaten. Meanwhile, Mark and Roger’s former friend and current landlord, Benny (Rajeev Doraswamy ‘19), demands last year’s rent, but the two roommates refuse to pay. On the street, a cross-dresser called Angel (Leo Zhu ‘19) finds Collins and the two instantly fall in love, revealing to each other that they are HIV positive. Roger is also HIV positive, contracted from his previous girlfriend. He tries to write a song on his guitar, but fails, and is interrupted by Mimi (Katerina Deliargyris ‘19) knocking on the door. They instantly feel attracted to each other, but Roger pushes her away. Out on St. Mark’s Place, Maureen (Dorothea Miller ‘19), a performance artist, begins her performance to protest Benny’s eviction of the homeless. Afterwards, all the protesters meet at the Life Café, but they see Benny there. He announces that “Bohemia is dead,” but the protesters celebrate “La Vie Boheme.” Beepers go off to remind them to take their HIV medicine. As a result, Mimi and Roger discover that the other is HIV positive and decide to begin a relationship. Director Mr. Alan Van Antwerp brought his dramatic expertise to the winter musical. With a background in managing and performing in professional and community productions, Mr. Van Antwerp was able to unlock the full potential of all the cast members. Although Rent was his first time serving as the director of a Pingry production, Mr. Van Antwerp created a passionate and supportive environment for everybody. In order to allow the audience to see the magic within the performance, Mr. Van Antwerp taught the cast and crew about the importance of collaboration. Deliargyris elaborated, saying, “Having Van as the director, he’s amazing, and I feel extremely lucky that I’ve gotten the chance to work with him.” Combined with a group of phenomenal performers and students, the musical was breathtaking and captivating. Mr. Van Antwerp also served as the lighting designer, while Mr. Sean McAnally was the sound director. Dr. Andrew Moore directed the pit orchestra. The stage managers were Grace Brown (VI), Udochi Emeghara (VI), and Allie Matthias (VI). Ms. Jane Asch and Mr. Christopher Abbott worked tirelessly to create the set for Rent, along with help from the students and parents. On February 8th, the highly anticipated Lunar New Year Assembly opened with a bright, lively rendition of the traditional dragon dance. 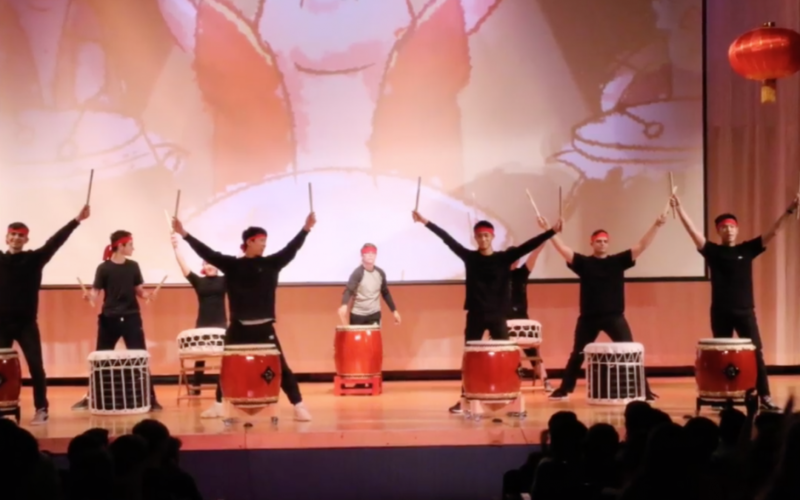 This was performed by students from the Form II Chinese class with taiko drumming by Mr. Christopher Leone in the background. During this standard component of festive Chinese celebrations, students maneuvered a long dragon figure using poles positioned throughout the body to simulate the “river spirit,” which the dragon represents. Dragons also symbolize Chinese culture and are thought to bring good luck for the new year. The 2019 Lunar New Year began on February 5th and ended on the 19th. As per the zodiac calendar, 2019 is the Year of the Pig – the 12th animal in the 12-year cycle of Chinese zodiac signs. In China, pigs generally symbolize wealth. Those born in the Year of the Pig are thought to be blessed with good fortune, happiness, and success later in life. First, and a definite highlight from this year’s assembly, were 12 exchange students from Quzhou No. 2 High School, Pingry’s sister school in southeastern China. The students, who visited Pingry for 2 weeks and were hosted by the families of various Upper School students, first introduced themselves to the school and then proceeded to sing songs they had prepared that reflected the spirit of their city and school. Next, the brother-and-sister dynamic duo, Elbert Ho (Grade 6) on piano and Felicia Ho (VI) on violin, performed a duet of the traditional Chinese folk song “The Joy of Spring” to welcome in the spring, all while dressed in traditional Chinese clothing. Belinda Poh (III), Francesca Rainuzzo (IV), Udochi Emeghara (VI), and Annaya Baynes (VI), members of the K-Pop Dance club, followed with another energetic, more modern performance of “DDU-DU DDU-DU” by the K-Pop girl group Black Pink. New additions to the 2019 assembly included Natalie DeVito (III)’s recital of the poem “Facing the Sea by the Warmth of Spring” by the famous poet Hai Zi entirely in Chinese. 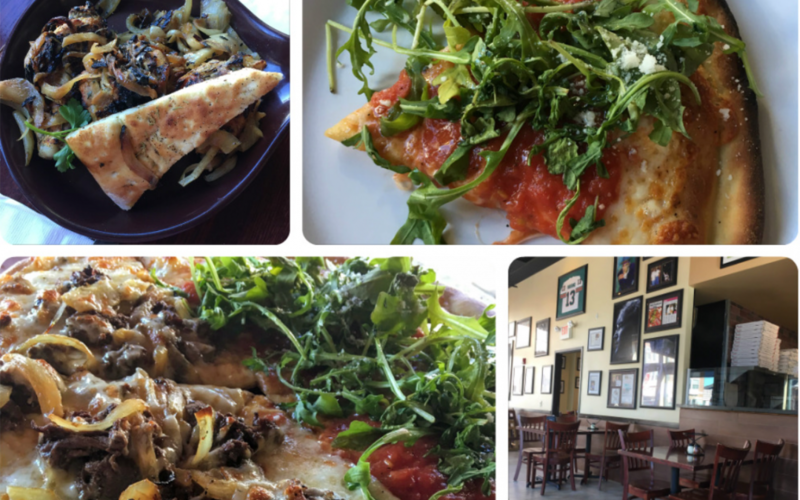 The closing element, an exclusive interview with Pingry Sage Dining Executive Chef Mr. Won Ho, a Chinese immigrant, and James Wang (V) was also a highlight. Overall, the many diverse performances of this year’s Lunar New Year Assembly emphasized the beauty of Chinese culture and its core virtues, something to remember and look back on for the year to come.